Practising centuries-old techniques that have been passed through generations, African potters craft their wares by hand from terra cotta clay, firing them in the open to create vessels of amazing durability. These pieces embody an immediacy of form and a deceptive simplicity that reflect their makers' deep understanding of material, process and embellishment. This exquisite book presents a virtuoso group of African ceramics collected by printmaker and professor Keith Achepohl over the past 25 years. Focusing on the aesthetic accomplishment of each work, Achepohl has assembled a collection that ranges in date from the 3rd to the mid-20th century, spans the African continent, and displays the full range and artistry of African ceramics. 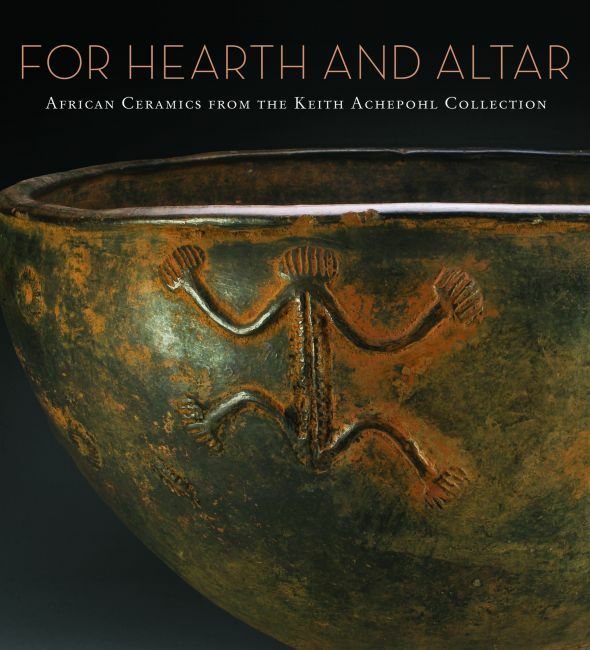 Beginning with a small group of archaeological pieces that demonstrate the historical roots of ceramic traditions in Africa, the book also offers a larger selection that highlights the continuing connection between pottery and village life, secular and sacred, in Africa. Among the featured works are large, dramatic storage and water containers; mid-sized vessels designed to hold personal belongings, serve food, and brew beer and palm wine; and small bottles and embellished containers made as luxury items and for religious and ritual use. Exhibition schedule: The Art Institute of Chicago, 3 December 2005 to 26 February 2006.